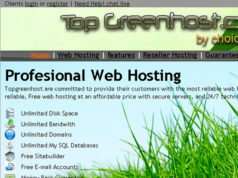 My blog first started with a review of Webhostingstuff’s top 25 hosts. 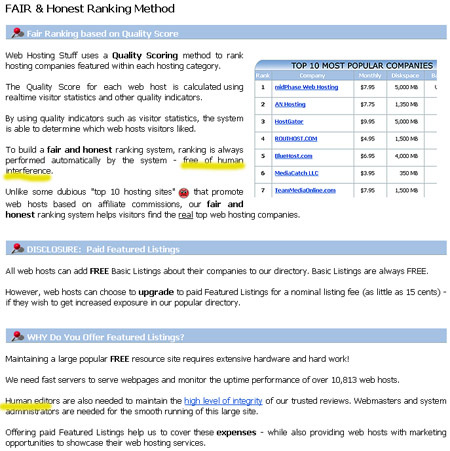 As of last week I completed a review of all 25 hosts that pay webhostingstuff for their positioning. I honestly had hoped to finish before the end of June. But in the end I found there was a lot more to most of these hosts that I would have imagined. 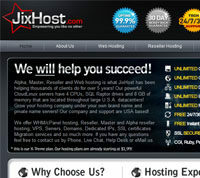 Some of the most damming details came directly from the staff of the hosting companies. Some took far deeper digging and rethinking of what to look for as it was not always the same with each host. 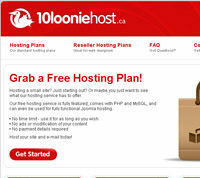 The same person that owns webhostingstuff.com, also owns hostaz.com a site that is based on Affiliate Commissions. The name of the owner is Michael Low a resident of Singapore. Hostaz.com, webhostingstuff.com is based off of paid per rank. Which is far worse then any top 10 thats based off of affiliate commission. Two of the hosts were owned by the same company: Ipage and Fatcow. Meaning I need to look further into The Endurance International Group, Inc. 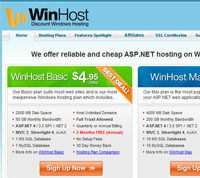 There were a lot of hosts offering over the top affilate payments. 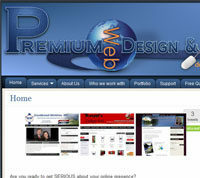 ipage, fatcow, hostgator, site5,….. pretty much half the sites I reviewed. Many whose own affiliates that drowned out negative feed back only to benefit the hosts. Two hosts were not even worth the effort, Mochahost (terrible customer service behavior) and 2GB Hosting (7 day guarantee). Is there any truth with webhostingstuff? The one thing that I am almost certain they do not modify is the uptime monitoring. With cloud.bg and i7net.net (not an actually May 2010 host, but June 2010), Uptime which should have been a factor in rather a host belonged in thetop 25 position. But even the uptime is suspect, as the hosts that had bad uptime are were lower levels of the top 25. Perhaps future monitoring of their top 25 will tell me more. Why do people still trust webhostingstuff? Human editors are also needed to maintain the high level of integrity of our trusted reviews. Webmasters and system administrators are needed for the smooth running of this large site. No matter what I do there will always be someone that trusts webhostingstuff regardless of what they do. 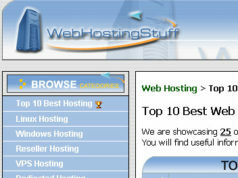 Needless to say I am not done, every new host that signs on to webhostingstuff is subject to my review. Previous articleI7NET, I7net.net is going going……. Gone!!! !